Older Single Mum: Silent Sunday 14.10.12. Ahhh that's a lovely shot, hope it was a good day out. Thank you. We're always there! 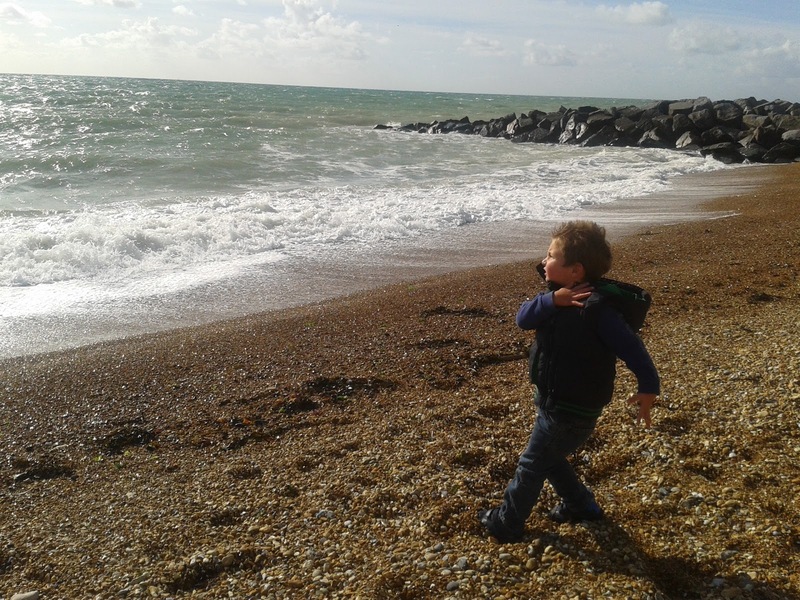 Skimming stones is the best! It must be so lovely to grow up by the sea. nice photo - great colours and I love the way you've captured his movement. That looks like the perfect way to spend an autumn afternoon! Great pic. I can feel how 'refreshing' that sea breeze is! Beautiful - do you have the sea near you? Oh that is what we should be doing today! Lovely photo and so natural. Please do join me on Country Kids with this photo too. Ooh chucking stones in the water is such fun! Lovely photo. Need to go to a beach soon! Wonderful, he looks so rugged facing the power of the sea! It looks gorgeous there. I never did manage to skim stones properly when I was little but your son seems to have it down to an art. Such fun throwing stones into the sea! I can almost smell the seaside from this pic. My boys LOVE the seaside! That water looks so inviting. That's such a great action shot! X.